Places have a lot of meaning for sports fans – cities, stadiums, ballparks and arenas are more than just spots on a map. They represent memories, loyalty and a feeling of home even when you're thousands of miles away from your favorite team's stomping grounds. I like to surround myself with reminders of things I love, which is why I'm excited to share GrafoMap with you. 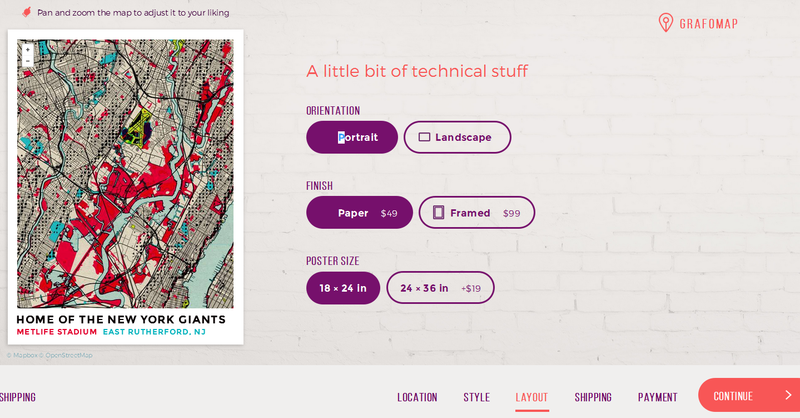 Maps as art definitely isn't a new concept, but GrafoMap lets you easily design and customize a piece of location-based art in a few simple steps. 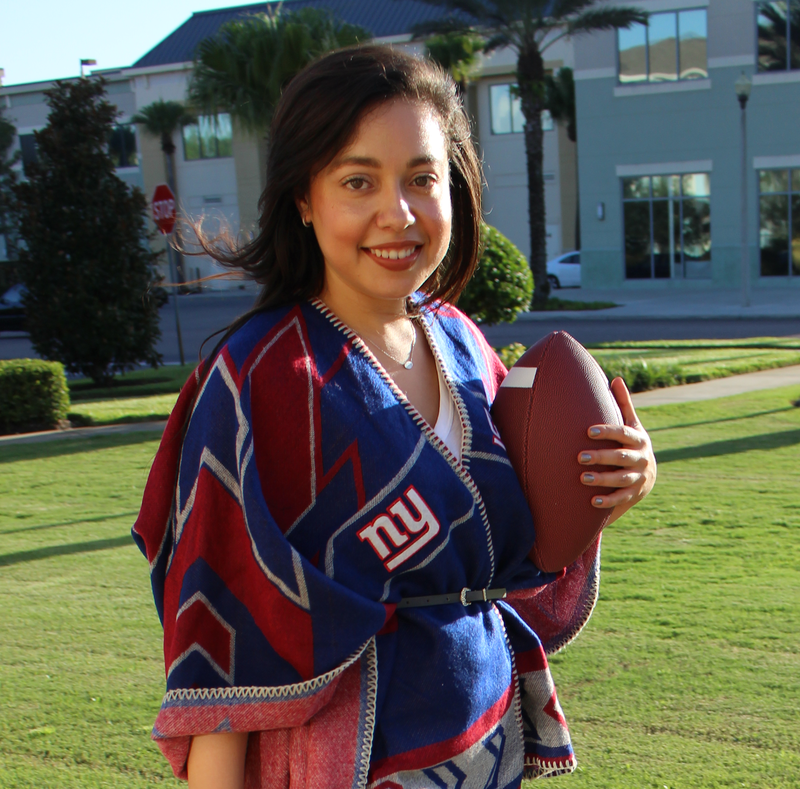 Sports fans can pick their hometowns or favorite venues to add a personal touch to their home or office. Check out how I created my GrafoMap, which makes me feel a little closer to MetLife Stadium from all the way in Central Florida. Step 1 is to pick your location! It's as easy as typing it in. Then you can zoom in and out as well as pan to adjust the map to show what you want. 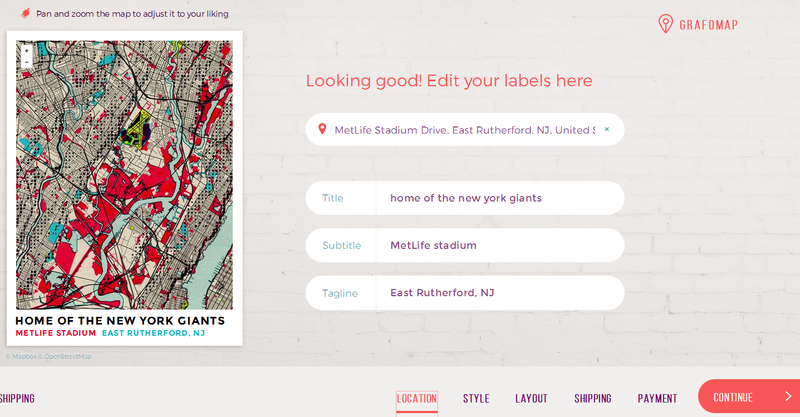 You can also customize the text fields. 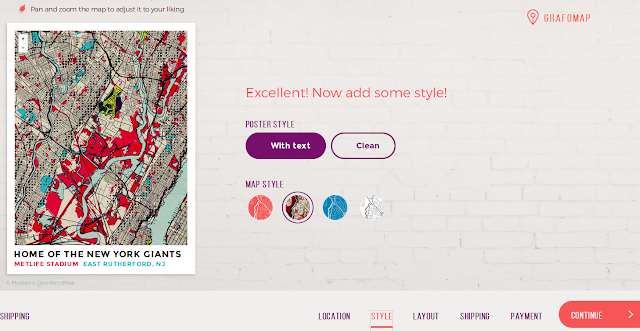 In Step 2, you can select from a few style options to match your decor and make your map pop! Step 3 allows you to choose final details like orientation, framing and size. 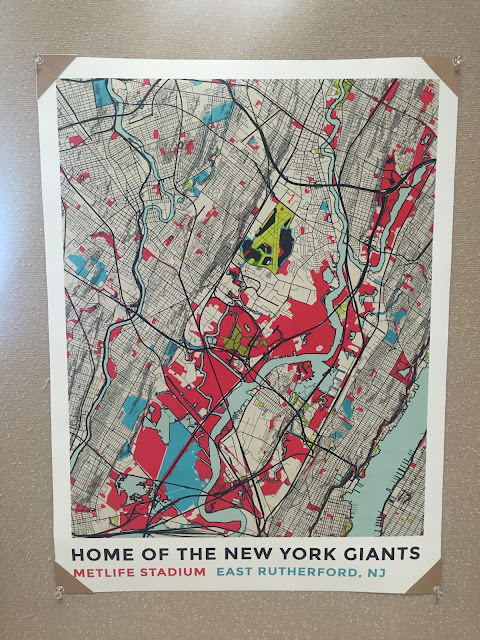 Once you get the poster in the mail, hang it up and show off your map masterpiece! 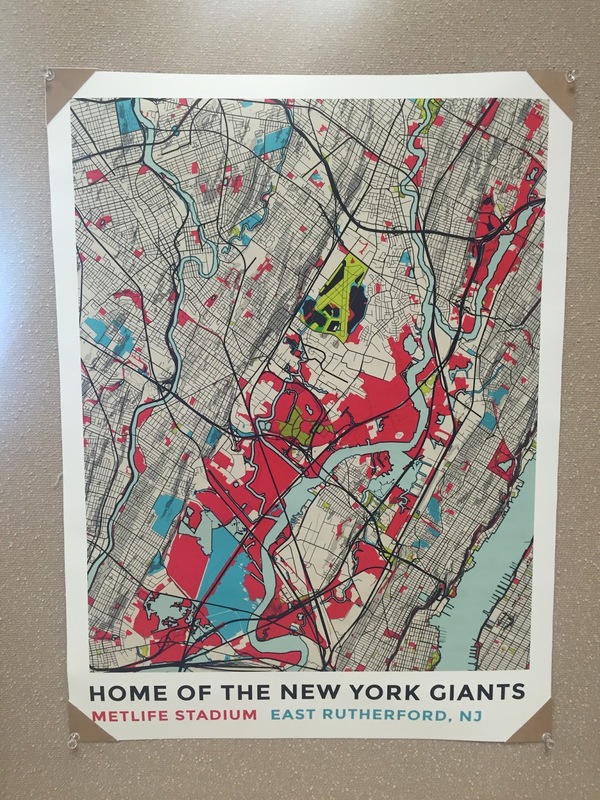 I put mine in my cubicle at work, so all my colleagues know where my loyalty leads...straight to MetLife Stadium! Ready to create your own GrafoMap? You can save 10% with my exclusive coupon code STYLEREF10 if you order yours by July 26. What special place would you put on your GrafoMap?